The Mental Militia is a Mental militia, a militia of the Mind. We are here to fight the MindWar which has been waged against all Americans, with deliberate intent, for about a full Century. The MindWar dates back to the earliest 1900s. It gained a foothold once Madison Avenue bought into the marketing template provided by Edward Bernays, the “Father of Public Relations”, in his book, “Propaganda”, published in 1928. TMM shall ask, what might be a “propaganda effect“? Of course, the obvious answer is that propaganda as a tool of statecraft is designed and used to alter the perception of a population or group within a population, in favor of a desired “policy”, such as going to war. The classic example of that comes from 1962 when the Joint Chiefs of Staff drew up a now-infamous document calling for the U.S. government to create a wave of terrorist bombings in Miami and Washington D.C. in order to blame those bombings on Cuba, to justify in the public’s perception a military invasion of Cuba. This website will focus on a number of surprising antics perpetrated upon the American taxpayer, all of which are directly linked to what the U.S. Army’s 7th Psychological Operations Group dubbed, in 1980, “MindWar”. That document is appropriately titled “From PSYOP To MindWar”. I am placing that entire document (it’s relatively short) below on this page, but I would like to first state that there is not, to my knowledge, any outfit or unit of the U.S. Army assigned overtly to executing “MindWar”. Instead, MindWar is a more subtle form of psychic coercion, and all Americans should know that the military is heavily involved in altering what Bernays called “the group mind” (see above) for the benefit of the power structure which has taken over the People’s rightful Constitutional government. Mentalitians know, or soon shall know by reading at this site, that the individual human mind is under direct attack and that one cannot be free unless one first assumes full ownership of one’s own mind. That theme will permeate the pages of this site. Self ownership is the opposite of slavery, and self ownership begins with the full and cognizant ownership of one’s individual mind, as opposed to the collectivist mindset held by progressive globalizing socialists who are pursuing a one-world government. 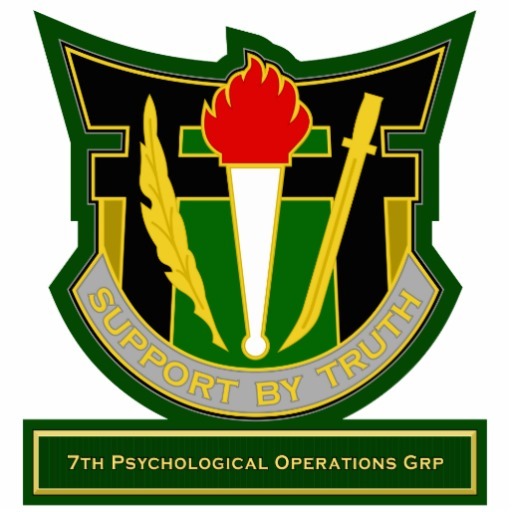 In the later 1970s, Psychological Operations (PSYOP) doctrine in the U.S. Army had yet to emerge from the disappointment and frustration of the Vietnam War. 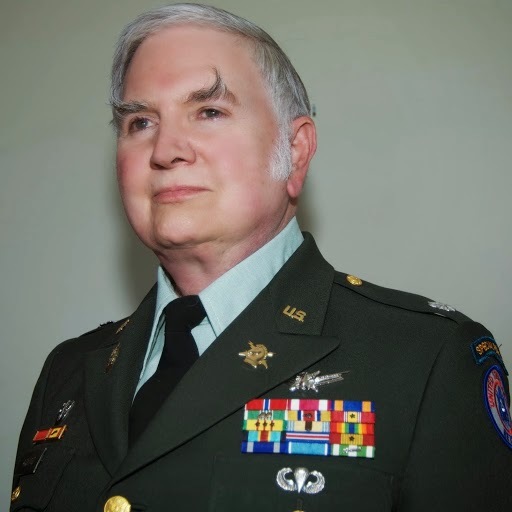 Thus it was that in 1980 Colonel Paul Vallely1 , Commander of the 7th PSYOP Group, asked me, as his Headquarters PSYOP Research & Analysis (FA) Team Leader, to draft a paper that would encourage some future thought within the PSYOP community. He did not want a Vietnam postmortem, but rather some fresh and innovative ideas concerning PSYOP’s evolution and application. 1 Later Major General, USAR. ethical values of those audiences are not respected – if MindWar is used only in the service of ulterior motives and objectives – the resulting “disintoxication”can be socially shattering. In 1987 I wrote a more extensive research paper for the National Defense University concerning the ethics of PSYOP. Particularly if MindWar is actually to be employed as a feature of U.S. foreign policy, I cannot stress too strongly the need for its subordination to the strictest and most enlightened principles of humanity as discussed in that paper. Psychotronic research is in its infancy, but the U.S. Army already possesses an operational weapons systems designed to do what LTC Alexander would like ESP to do – except that this weapons system uses existing communications media. It seeks to map the minds of neutral and enemy individuals and then to change them in accordance with U.S.
national interests. It does this on a wide scale, embracing military units, regions, nations, and blocs. In its present form it is called Psychological Operations (PSYOP). because it was outmatched by the PSYOP of the enemy. The Army’s efforts enjoyed some impressive successes, but our own PSYOP did not really change the minds of the enemy populace, nor did it defend the U.S. populace at home against the propaganda of the enemy. Furthermore the enemy’s PSYOP was so strong that it – not bigger armies or better weapons – overcame all of the Cobras and Spookys and ACAVs and B52s we fielded. The lesson is not to ignore our own PSYOP capability, but rather to change it and strengthen it so that it can do precisely that kind of thing to our enemy in the next war. Better hardware is nice, but by itself it will change nothing if we do not win the war for the mind. Review, Vol LX, No. 12 December 1980. 5 “ Chieu Hoi: The Winning Ticket”. MACV Command Information Pamphlet 6-69, March 1969.
troops ever see them on battlefields. According to the present doctrine, PSYOP is considered an accessory to the main effort of winning battles and wars; the term usually used is “force multiplier”. It is certainly not considered a precondition to command decisions. Thus PSYOP cannot predetermine the political or psychological effectiveness of a given military action. It can only be used to point that action in the best possible colors as it is taken. enemy’s will until he reaches the battlefield, his nation will have strengthened it as best it can. We must attack that will before it is thus locked in place. We must instill in it a predisposition to inevitable defeat. States defeated in the jungles of Vietnam, or was it defeated in the streets of American cities? To this end MindWar must be strategic in emphasis, with tactical applications playing a reinforcing, supplementary role. In its strategic context, MindWar must reach out to friends, enemies, and neutrals alike across the globe – neither through primitive “battlefield” leaflets and loudspeakers of PSYOP nor through the weak, imprecise, and narrow effort of psychotronics11 – but through the media possessed by the United States which have the capabilities to reach virtually all people on the face of the Earth. desire moralities unsatisfactory to us, we have no choice but to fight them on a more brutish level. MindWar must target all participants if it is to be effective. It must not only weaken the enemy; it must strengthen the United States. It strengthens the United States by denying enemy propaganda access to our people, and by explaining and emphasizing to our people the rationale for our national interest in a specific war. Under existing United States law, PSYOP units may not target American citizens.12 That prohibition is based upon the presumption that “propaganda” is necessarily a lie or at least a misleading half-truth, and that the government has no right to lie to the people. The Propaganda Ministry of Goebbels must not be a part of the American way of life. Quite right, and so it must be axiomatic of MindWar that it always speaks the truth. Its power lies in its ability to focus recipients’ attention on the truth of the future as well as that of the present. MindWar thus involves the stated promise of the truth that the United States has resolved to make real if it is not already so. some government agencies in the 1970s-80s, possibly to make them sound more “scientific”. 12 [MA2003] This law was established after World War II, purportedly both out of distaste for the extreme domestic propaganda of the fascist powers and because of misgivings about American domestic propaganda, particularly during World War I. At the time of this paper (1980), the law was so strict that, for example, printing presses of Army PSYOP units were prohibited from being used to run off posters for local military recruiting stations. Propaganda, when it is recognized as such – and anything produced by a “PSYOP” unit is so recognized – is automatically assumed to be a lie or at least a distortion of the truth. Therefore it works only to the extent that a militarily-pressed enemy is willing to do what we want him to. It does not work because we have convinced him to see the truth as we see it. 7-2 The Art and Science of Psychological Operations: Case Studies of Military Application, Volume Two. Washington, D.C.: American Institutes for Research, 1976, page 1020. And this is nothing that can be easily faked, if in fact it can be faked at all. “Rapport”, which the Comprehensive Dictionary of Psychological and Psychoanalytical Terms defines as “unconstrained relations of mutual confidence”, approaches the subliminal; some researchers have suggested that it is itself a subconscious and even perhaps even ESP-based “accent” to an overt exchange of information. Why does one believe one television newsman more than another, even though both may report the same headlines? The answer is that there is rapport in the former case; and it is a rapport which has been recognized and cultivated by the most successful broadcasters. For the mind to believe in its own decisions, it must feel that it made those decisions without coercion. Coercive measures used by the operative, consequently, must not be detectable by ordinary means. There is no need to resort to mind-weakening drugs such as those explored by the CIA; in fact the exposure of a single such method would do unacceptable damage to MindWar’s reputation for truth. 18 Cf. John Marks, The Search for the “Manchurian Candidate”. New York: Times Books, 1979. …phenomena as atmospheric electromagnetic activity19 , air ionization20 , and extremely low frequency waves21 . wish to trade that kind of victory for more American lives, economic disaster, and negotiated stalemates, then MindWar is inappropriate, and if used superficially will actually contribute to our defeat. 20 Ionization of the air: An abundance of negative condensation nuclei (“air ions”) in ingested air enhances alertness and exhilaration, while an excess of positive ions enhances drowsiness and depression. Calculation of the ionic balance of a target audience’s atmospheric environment will be correspondingly useful. Again this is a naturally-occurring condition – caused by such varying agents as solar ultraviolet light, lightning, and rapidly-moving water – rather than one which most be artificially created. (Detonation of nuclear weapons, however, will alter atmospheric ionization levels.) Cf. Soyke, Fred and Edmonds, Alan, The Ion Effect. New York: E.P. Dutton, 1977.
communication). ELF-waves are not normally noticed by the unaided senses, yet their resonant effect upon the human body has been connected to both physiological disorders and emotional distortion. Infrasound vibration (up to 20 Hz) can subliminally influence brain activity to align itself to delta, theta, alpha, or beta wave patterns, inclining an audience toward everything from alertness to passivity. Infrasound could be used tactically, as ELF-waves endure for great distances; and it could be used in conjunction with media broadcasts as well. See Playfair, Guy L. and Hill, Scott, The Cycles of Heaven. New York: St. Martin’s Press, 1978, pages 130-140. I will place other resources here as time permits. WE must meet to discuss. Our old forum is not very active lately, but it’s been online since 2003, and it was launched in another format four years earlier, back in 1999. I have left a comment under a YouTube video by Aaron and Melissa Dykes of TruthStream Media. I want to share their video here and urge all Mentalitians to absorb the full meaning of their presentation. I left a comment to them under their video, with a link to this page at TMM. In my comment to them I noted that I have received their full length DVD named “The Minds of Men” and am looking forward to viewing it. I would urge anyone to do the same. Get the movie and make time to view it. But at the very least, go to the YouTube video I just linked here and watch carefully.